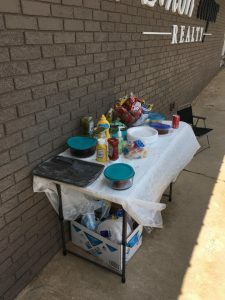 Come join us for our new summer weekly tradition, Hot Dog Friday! 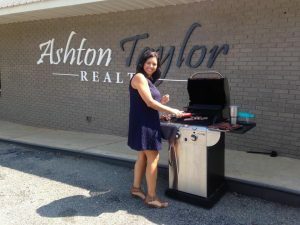 Every Friday from 12pm to 2pm Ashton Taylor Realty serves hot dogs, chips, and a drink to every person that stops by the office on 14 Old Roving Rd in Cartersville, Ga. This is a perfect opportunity for us to interact with members of our community and answer any questions that you may have about Real Estate! Serving a free lunch is just a small way that we can give back to our community. Making a difference by working AT giving back and being involved. 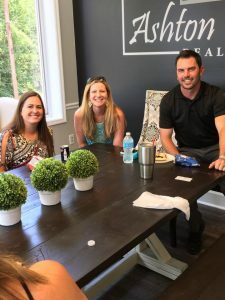 Ashton Taylor Realty believes that being successful is an essential key ingredient to be able to give back to others. We want to make a positive difference and unite those in our local community. 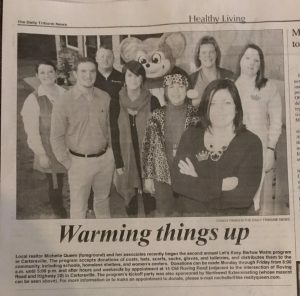 Let’s Keep Bartow Warm is just one of our many platforms that we use to unite and help families.